Gamers will soon be able to hit the roads as Truck Driver enters its closed beta stage. Truck Driver has already come a long way in development. Since its announcement last month, it has had a number of additions to enrich the trucking experience. Those interested in following and shaping the game from the get go can sign up for the closed beta now. 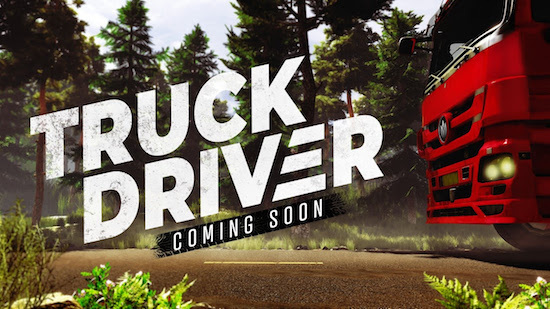 Truck Driver developer Triangle Studios is delighted with the excited reactions that have been received so far. A lot of work has gone into the development of Truck Driver since the initial announcement, for example adding a day and night-cycle and improving graphical quality and density of the map. To showcase some of these updates, a set of brand new screenshots have been released to illustrate Truck Driver’s day and night cycle for the very first time, and more will be revealed soon. Now, the game is ready to be tested by a select group of independent gamers in closed beta. The feedback received during the closed beta will prove to be very helpful in shaping the next stage of the development process.